At the age of 25, I was in a position to start to learn to drive for the first time. 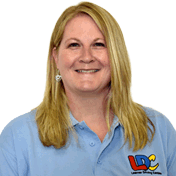 After searching for potential driving instructors in the local area, LDC and Pauline seemed to provide the right type of tuition I was after, and I was not wrong. Pauline provided the perfect balance of being highly professional whilst being able to make me feel relaxed during my lessons. I found her to be patient and constructive, she also provided an atmosphere where questions are encouraged and mistakes are things to learn from rather than to necessarily avoid. The lesson structure reflected this, with clear and structured learning objectives being set at the start of each lesson, but with the flexibility and freedom to practice certain elements further if I wanted to (mostly roundabouts!). At the end of each lesson, we reviewed and identified what went well and areas where improvements could be made. Between each lesson, I could revise using the LDC workbook which was also used to check off learning objectives. I noticed big improvements every week. After 30 hours of lessons, and without much opportunity to practice driving elsewhere, I was able to pass first time. I do not think this would have been possible without Pauline's excellent tuition! I highly recommend her to anybody looking to learn to drive. 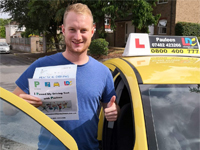 I'm a driving instructor in Benson, Wallingford, Cholsey, Didcot, Clifton Hampden, Berinsfield, Chalgrove, Watlington, Nettlebed, Woodcote and surrounding areas.